Sometimes you want to find out where a running process resides on your drives. At least these methods are possible in Windows 10. Taskmanager, process tab, right-click on the columns’ headers, select command line. A column with the full commandline which started the process is shown. If you’ve done this once, Taskmanager remebers that you want to have this column and shows it automatically next time. Wenn man das Pech hat, mit einer deutschen MS-Umgebung entwickeln zu müssen, hat man auch das Pech, dass viele Fehlermeldungen in deutsch ausgegeben werden und man im Netz nichts dazu findet. Zum Beispiel zu Ein Endpunktkonfigurationsabschnitt für Vertrag \”xyz\” konnte nicht geladen werden, da mehr als eine Endpunktkonfiguration für diesen Vertrag gefunden wurde. Geben Sie den bevorzugten Endpunktkonfigurationsabschnitt mit Namen an. If you’ve got to develop with on a non-english system, you’ve got the bad luck that many error messages you see are not in english and you don’t find anything in the web about e.g. Ein Endpunktkonfigurationsabschnitt für Vertrag \”xyz\” konnte nicht geladen werden, da mehr als eine Endpunktkonfiguration für diesen Vertrag gefunden wurde. Geben Sie den bevorzugten Endpunktkonfigurationsabschnitt mit Namen an. There are several types of IDs for harddisks and volumes which you normally don’t notice and don’t need to know about. Windows attaches a disk id it to every disk – not volume – it uses. You can look at it and change it with the command line tool diskpart which comes with Windows. A volume id is attached to a partition or volume on a drive. How can you see the volume id of a drive? open a cmd shell, then vol d: shows the name and volume id of drive d:. changes the volume’s id to the value 1A34-AB27. The wordpress developers have in their almighty wisdom introduced a new editor called Gutenberg. It is just rubbish and nobody wants it but the developers themselves. A fork of WordPress has been created, called ClassicPress. Also there are plugins available with which you can disable the Gutenberg editor. The plugin called Classic Editor just disables Gutenberg and revokes the Classic Editor. It has got millions of installations already. For now, it works. 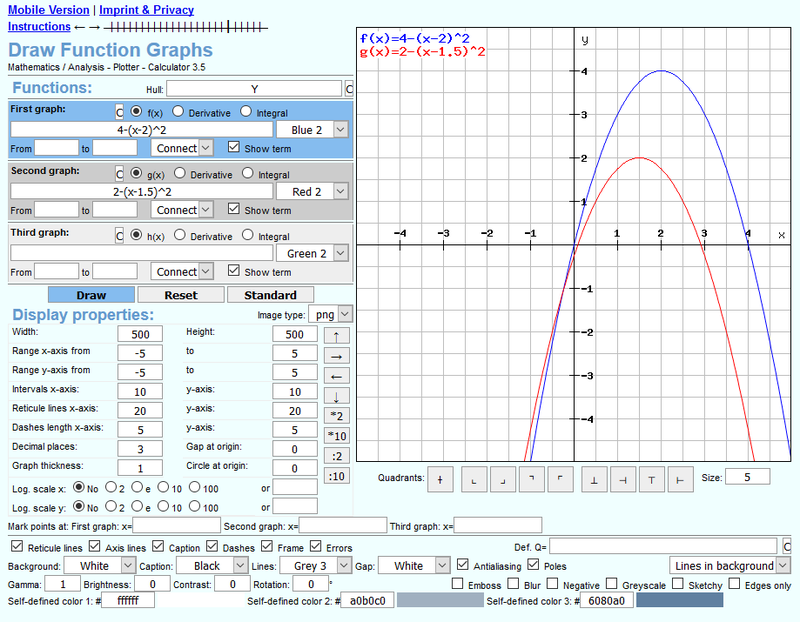 Sometimes it is useful if you can calculate and show a graph of a mathematical function easily. RechnerOnline is quite nice for this task.